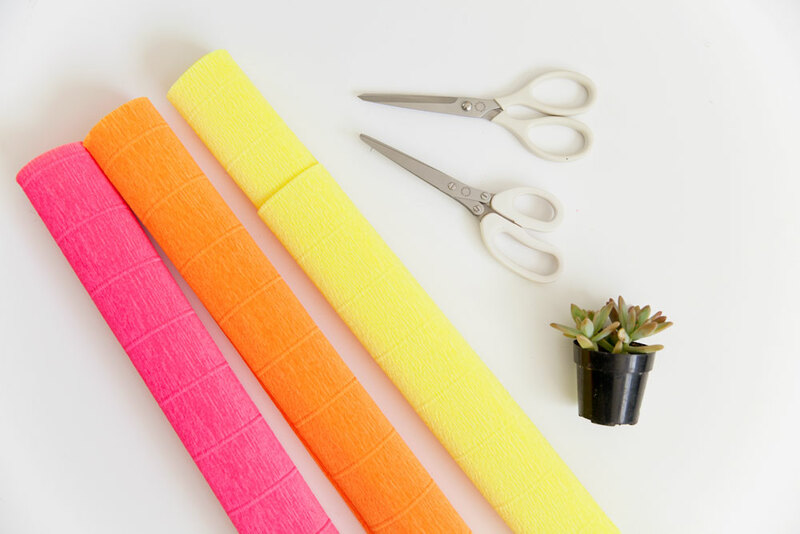 So growing up, the only crepe paper I knew about was just the kind you buy at the party store to make streamers. But things have CHANGED! Crepe paper is now one of my favorite craft materials to have around. 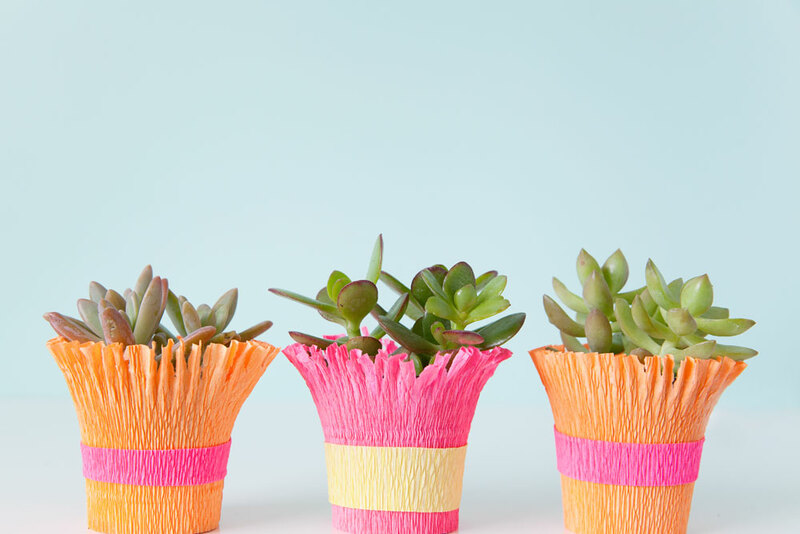 I mean crepe paper can be a game changer. It is so fun to manipulate, paint or cut. 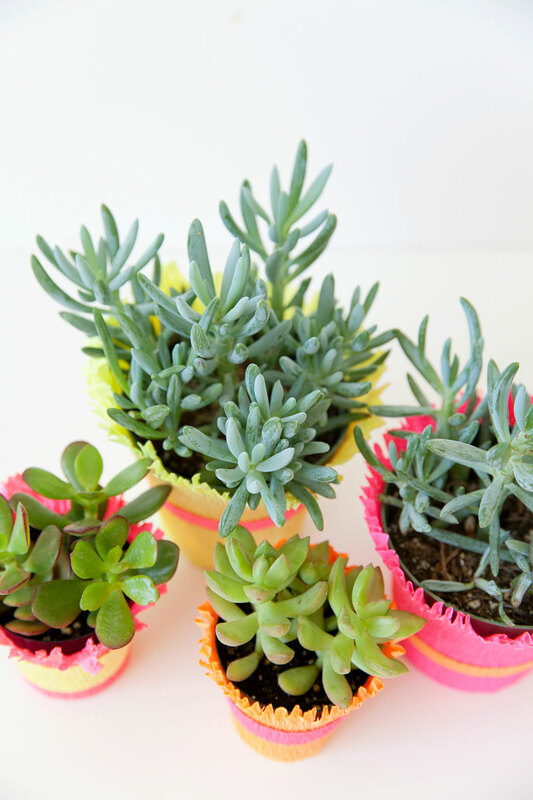 These DIY crepe paper wrapped succulent pots are sooooo stinkin simple to make! 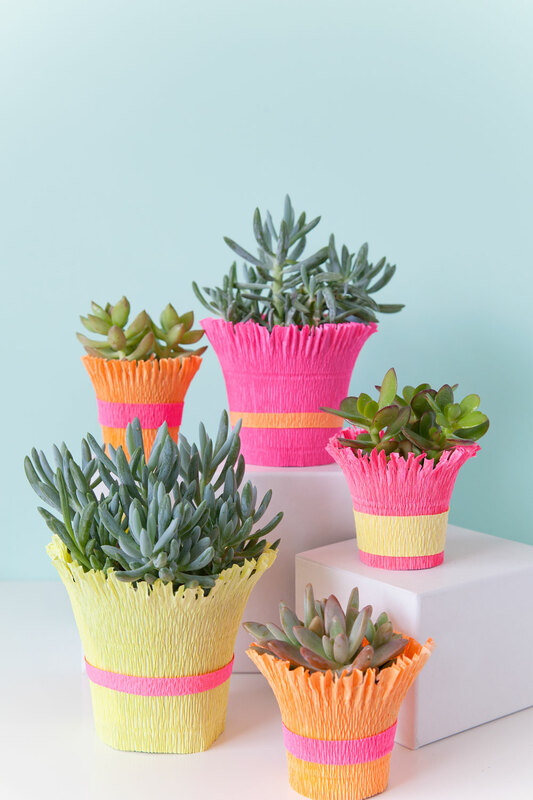 They can make a fun centerpiece or cute decor for a party, either way you should stock up on some crepe paper folks, it’s great! 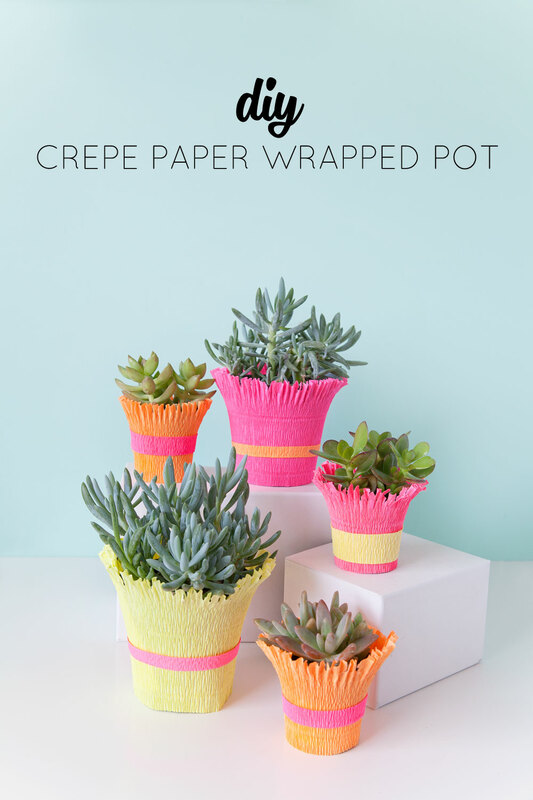 Measure and cut out crepe paper so that you have enough to fit around the pot. 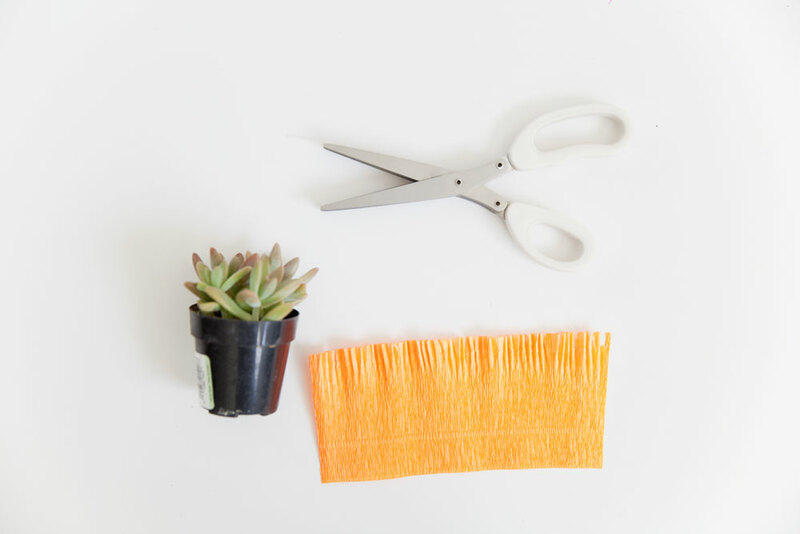 Make sure you cut the crepe paper so the stretch wraps around the pot and not vertical. Take your fringe scissors and cut around the top. It won’t cut all the way through but it will leave a fringe edge. 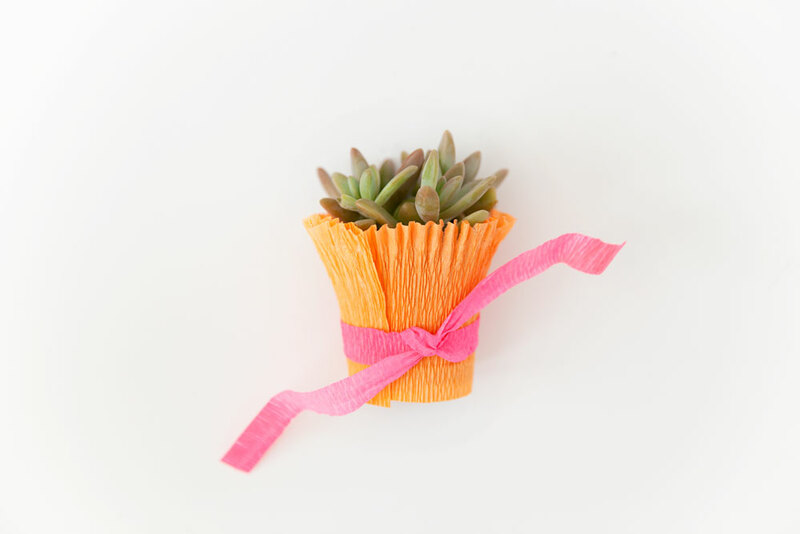 Wrap the crepe paper around your pot. Cut out another piece of crepe paper (again with the stretch going horizontal) and tie it around your pot. 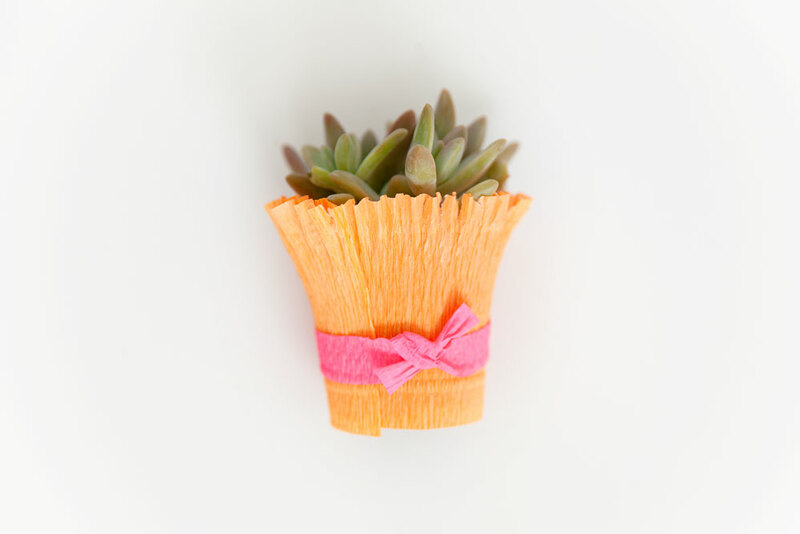 Cut off excess and your little plant is all dressed up and ready to go :) Now is that simple or WHAT? Check out some other fun things I have made with my fringe scissors…They are for sure the most loved scissors in the bunch.